Yesterday I received this lovely bunch of sample fabric from the wonderful people at Windham Fabrics (seriously, love you guys!). 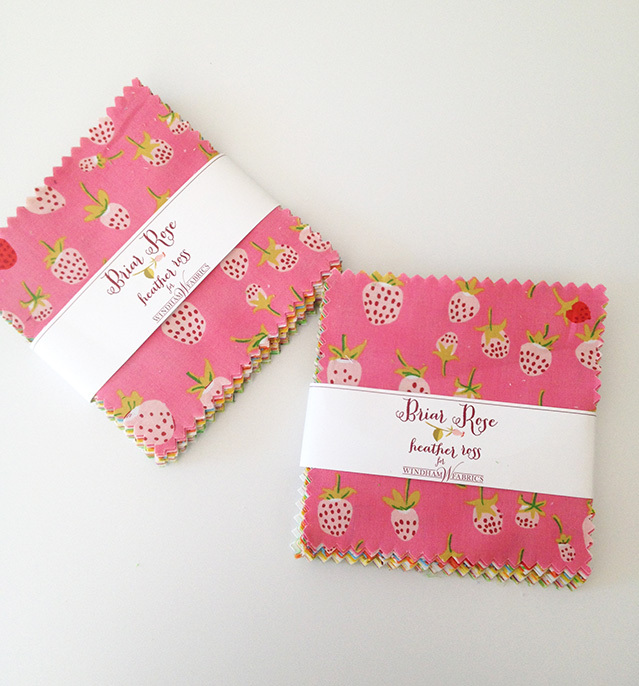 In this bundle included two, yes two, charm packs of the new Briar Rose Collection by Heather Ross. 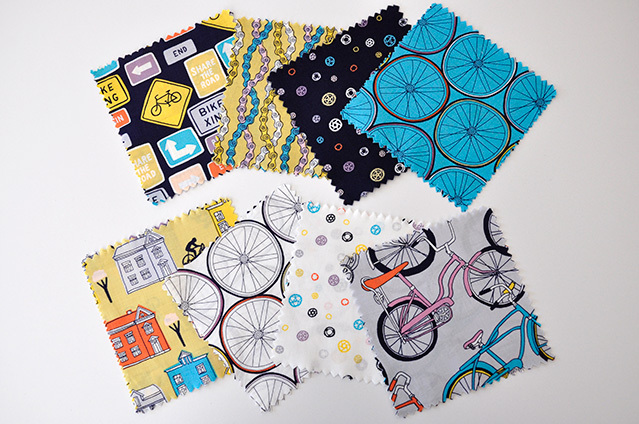 Check back on Monday for a sneak peak of the fabrics AND we'll be giving away one of this packs as well on the Fabric Bubb facebook page. 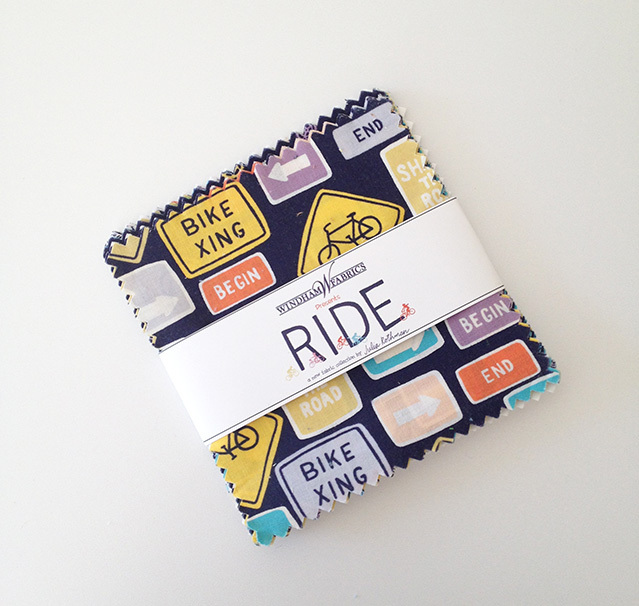 Also included in the package was this super cute bike series called Ride by Julia Rothman, due out in May. 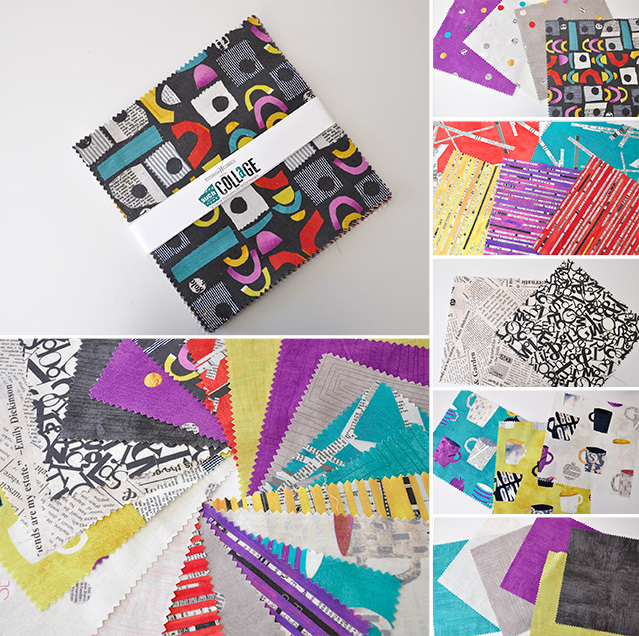 And this lovely pack of Collage by Carrie Bloomston due out in July.